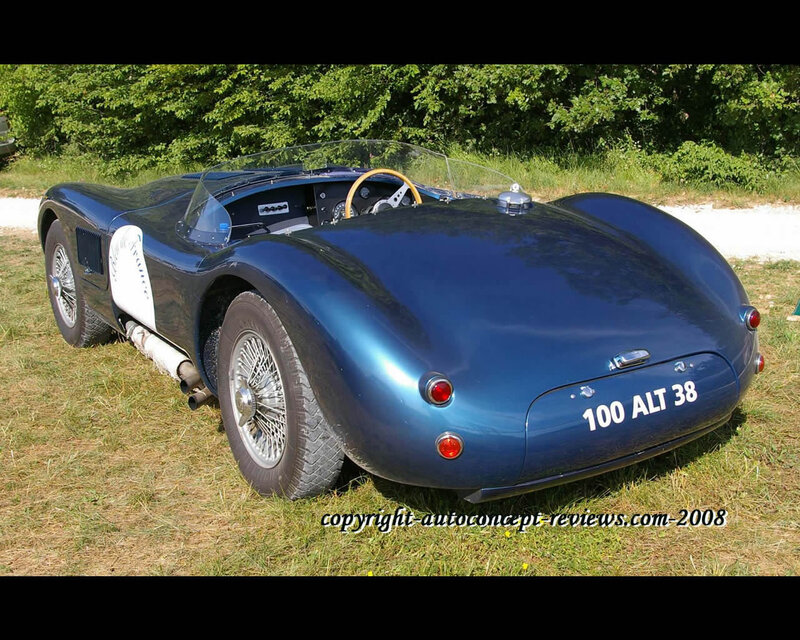 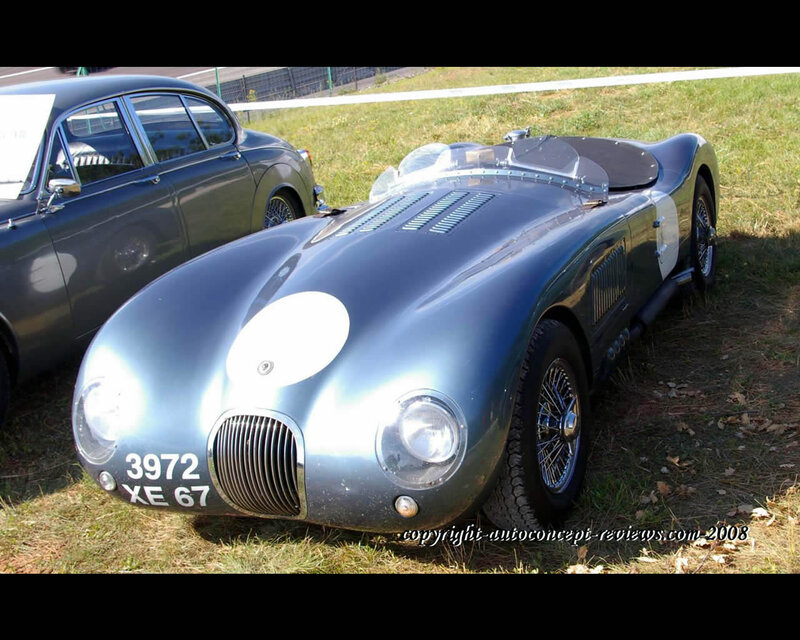 In 1951 Jaguar developped the road racing sports car C Type with multitubular frame and aluminium body;the engine was a 6 cylinder 3.412 cc derived from the XK120 and produced 200 h.p. 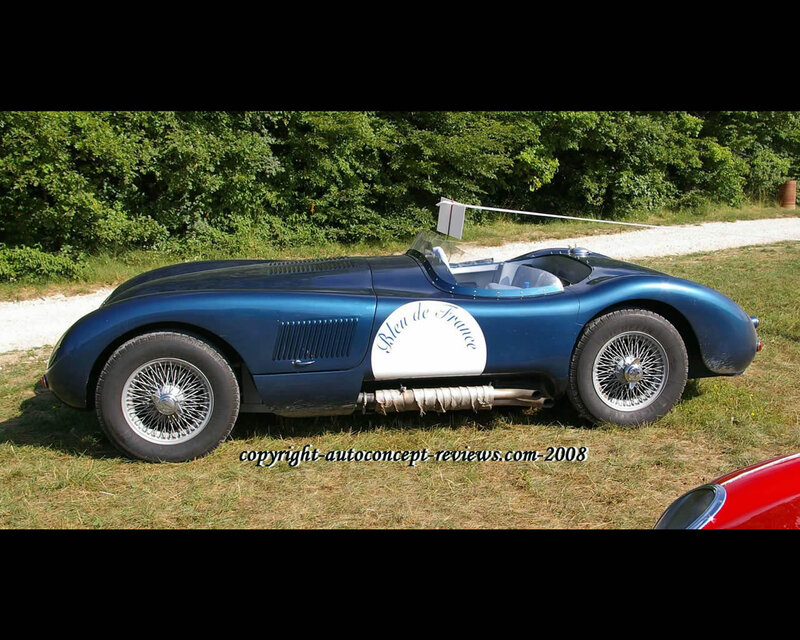 at 5.800 rpm originally.The Jaguar C Type won at 24 Hours of Le Mans in 1951 for its first appearance on the track. 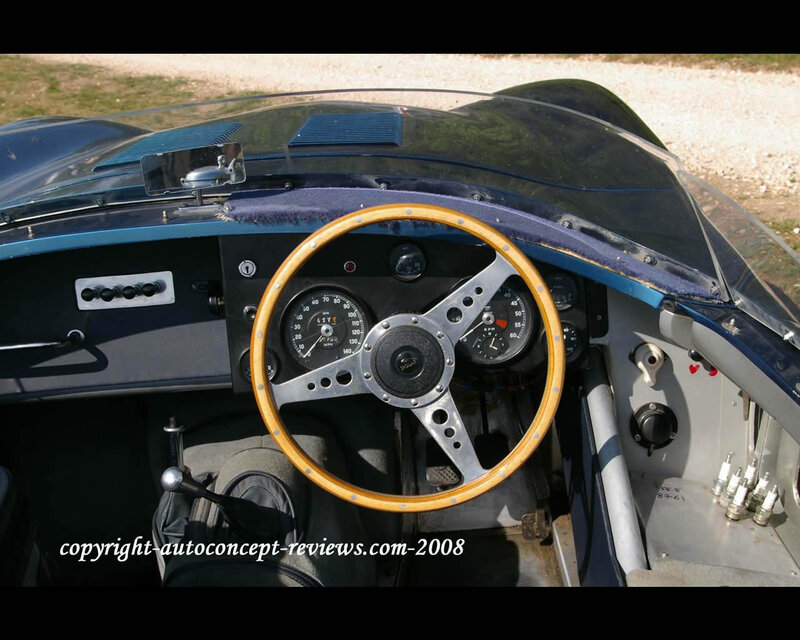 Further development in 1952 include replacing drum brakes by disc brakes. 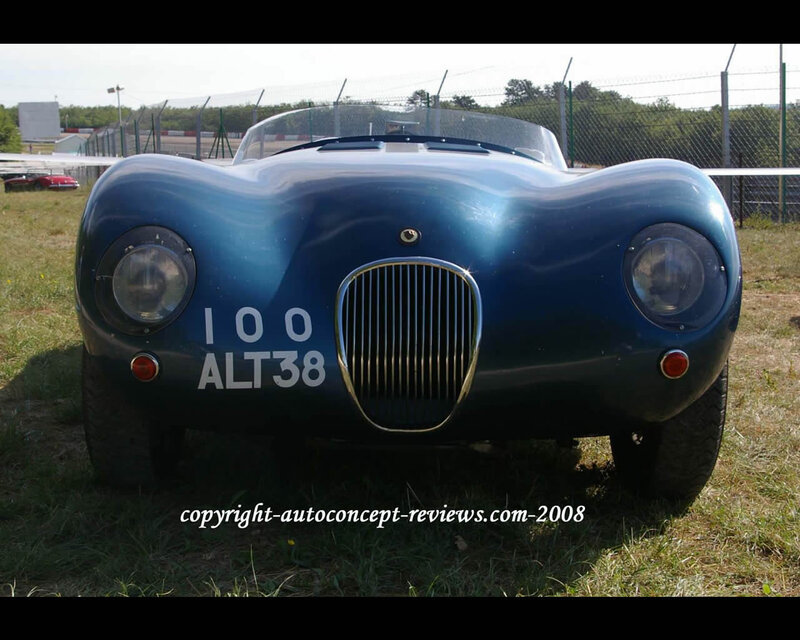 The Jaguar C Type won again at Le Mans in 1953.